Film posters - Alan Partridge posters: Cinema art style Alan Partridge poster for the Alan Partridge: Alpha Papa movie. In this 2013 comedy, Steve Coogan's iconic TV character Alan Partridge is taken to the big screen in an action comedy also featuring many other favourite characters from the TV shows. Alan is of course featured on this poster. 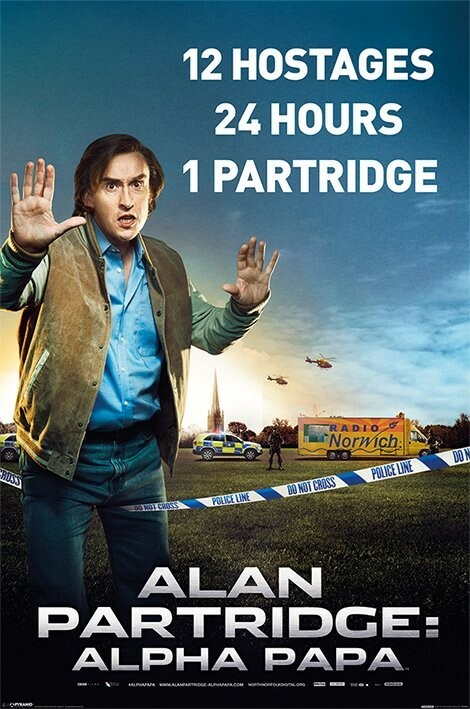 12 Hostages, 24 Hours, 1 Partridge. Official Alan Partridge poster.